KÖNIG GALERIE is pleased to present the third Jeppe Hein solo show. 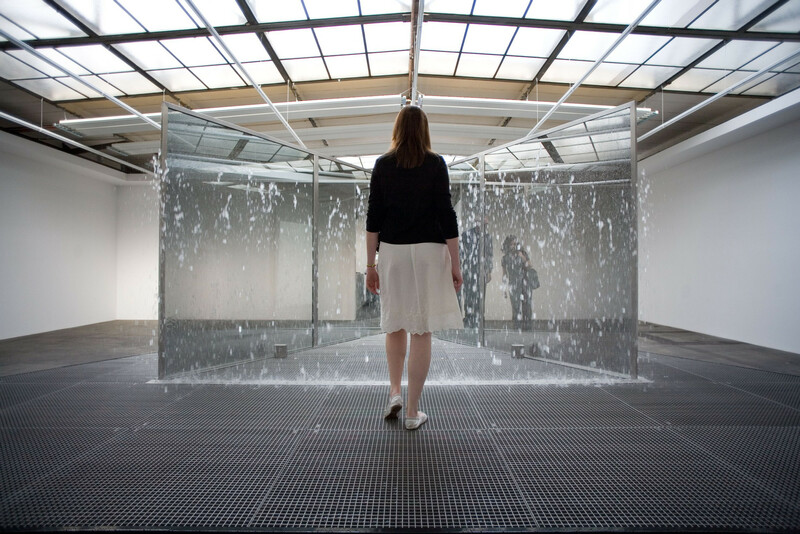 In this context, for the first time the artist is realizing his installation “Triangular Water Pavilion”. 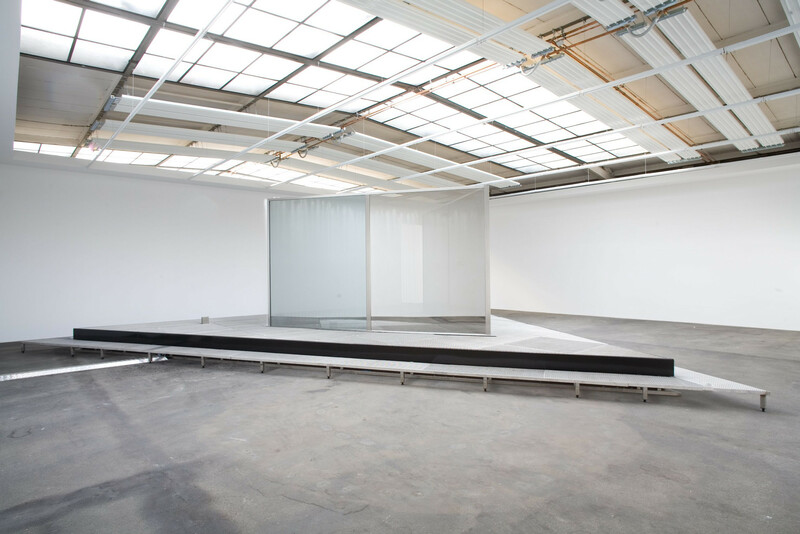 In his work, Jeppe Hein combines architecture and sculpture, enquiring into the definition of space and our perception of it. On the footprint of an equilateral triangle, two walls made of spyglass and a wall of water rise up over a basin of water. 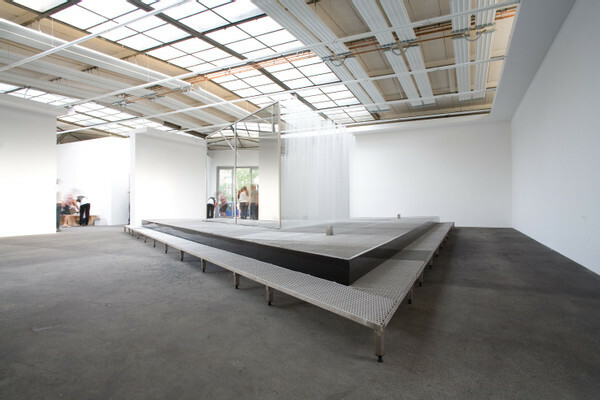 Similar to the mechanism used in his piece “Appearing Rooms” (2004), here a sensor responds to the visitor drawing closer to the water fountain, and this collapses in itself enabling the viewer to enter the space. The interaction of the glass walls, transparent on one side and reflective on the other, creates a multiple optical effect. 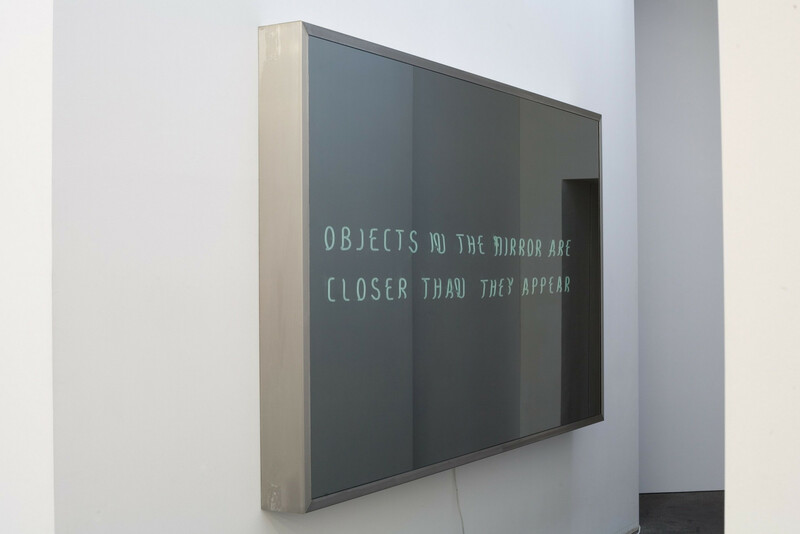 The reflections first come into their own in response to the individual viewer’s gaze. 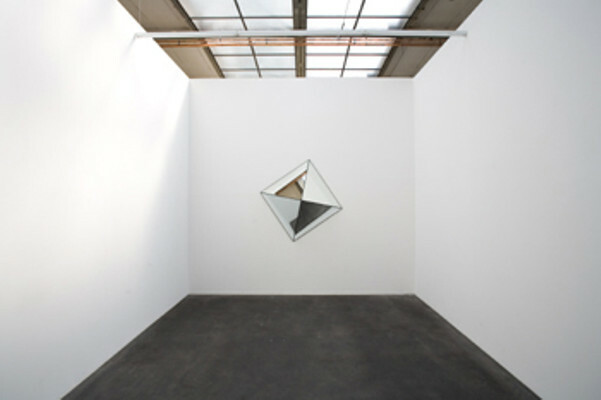 The lighting in the gallery influences the intensity of the reflections while also enlarging the basic triangular shape and creating a new visual space.This work stands out for its visual and physical permeability, just as it asks how the viewer responds to changed spatial situations and the related physical experiences. 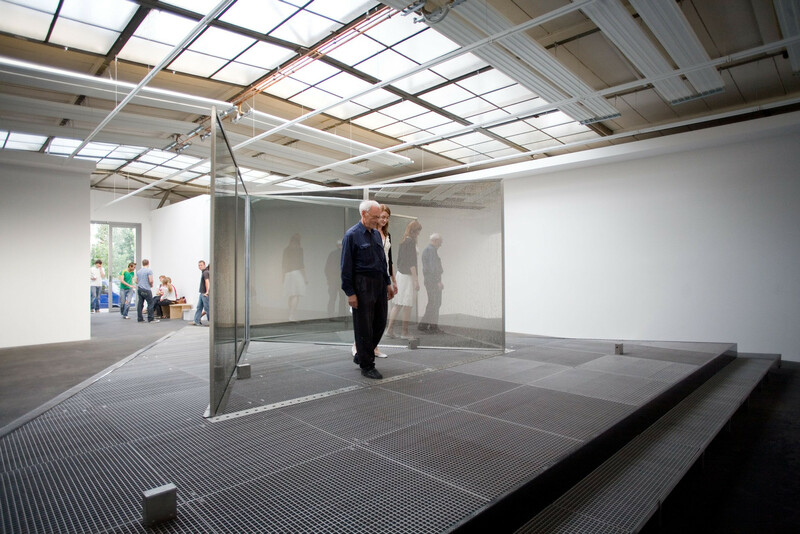 The arrangement of the spyglasses is reminiscent of Dan Graham’s artistic oeuvre – in both his exhibitions and in public space he always construed the viewer as an essential part of the artistic work. 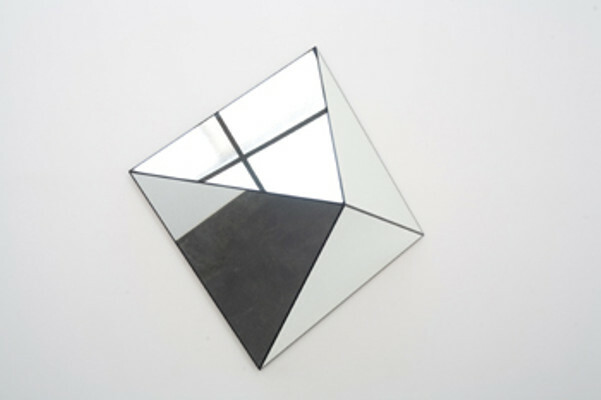 The geometrical shape of the triangle is reiterated in his “Mirror Pyramid” (2007). The mirrored pyramids rotate on their own axes, repeatedly deconstructing space with their slow motion, only to recompose it.Jeppe Hein’s new works involve the viewer and rely on the viewers’ perception. Their function is first activated by viewer participation. The artist makes use of artistic and formal models and advances these according to his own aesthetic standards. 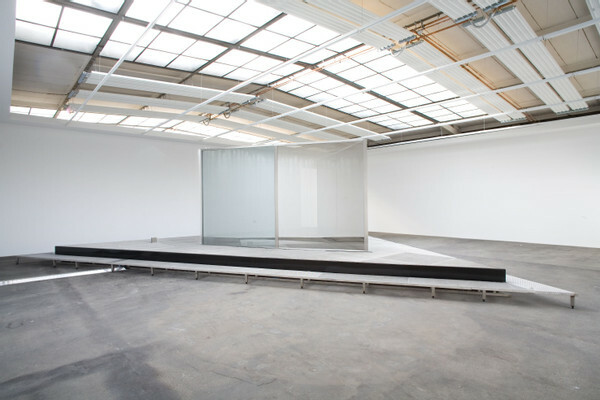 Jeppe Hein (born 1974) studied at Frankfurt’s Städel Academy and has already participated in countless solo and group shows. This year, he will have solo exhibitions in the Sculpture Center New York and in 2008 in ARos Museum Arhus.